There are plans to host Retirement Expos in the western and northern divisions soon. The Suva expo which began yesterday has already been attended by hundreds of people. 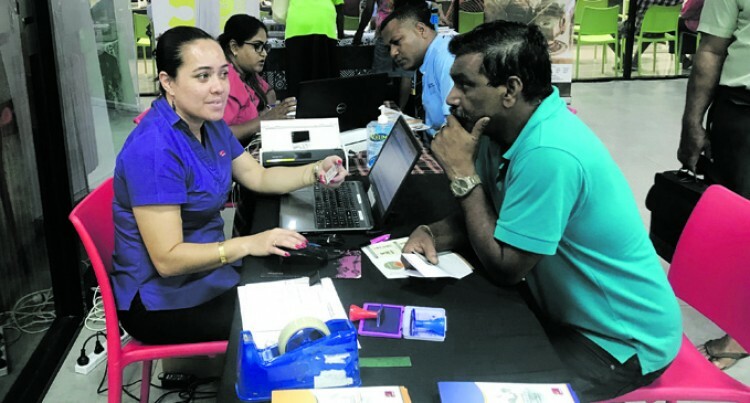 Some came all the way from Lautoka and other parts of Fiji, to utilise the one-stop-shop service at the Fiji National Provident Fund Downtown Boulevard, Suva. Doors at the FNPF Downtown Boulevard open from 9.00am – 4.30pm. The one week expo ends on Friday. FNPF general manager member services Alipate Waqairawai said: “The intention is really to take the retirement expo to other parts of Fiji. However, Mr Waqairawai said they would make a decision after reassessing this week’s expo. “In fact this information on retirement and the need for retirement plans is very important for all Fijians. Mr Waqairawai is urging everyone who is currently employed and those that are nearing retirement the expo is an opportunity not to be missed. “You get to meet the exhibitors and staff from financial institutions that can help you with retirement planning. “If you want to set up a small farm you have iTLTB, Fiji Development Bank and other institutions here to help you as part of your retirement plan. Retired civil servant Apolonia Tamata said: “The Fiji National Provident Fund provides us, retired civil servants with a lot of useful information.It is unfortunate that policies over the years allowed members to withdraw funds from their accounts excessively. “It is nice to see that they have taken some corrective measures, particularly in terms of members now having 70 per cent of their funds preserved exclusively for their retirement. This is a major change from what was happening before where members can access up to two-thirds of their balances on some 23 grounds for withdrawal. Now most retirees but won’t be broke,” she said. Bijay Prasad a Tebara Bus Limited bus driver, said the expo is good, because it allows people to better understand the financial options available. Making additional contributions was also stressed by Mr Waqairawai. “You can choose to pay more than the mandated eight per cent contributions from your wages to boost your FNPF savings, allowing you to save more for your retirement. The maximum contribution allowed for a compulsory member is 30 per cent (10 per cent employer + eight per cent employee +12 per cent additional and/or excess). Excess contribution is paid by some companies as part of their workers’ benefits paid in additional to the 10 per cent mandated contribution. People can deduct up to 12 per cent of their gross wages as additional contribution. Melaia Qalikaono, who also attended the expo yesterday, said the expo was very informative and she was glad to know that she can make additonal contributions and save for her retirement. The Retirement Expo is organised by the Financial Literacy Working Group of the National Financial Inclusion Taskforce to partner with the Fiji National Provident Fund, the Reserve Bank of Fiji and the UN’s Pacific Financial Inclusion Programme (PFIP) to create an awareness campaign on the dire need to save for retirement.